In July 2016, we sent Iona Prep assistant baseball coach Eric Helmrich to Ireland. 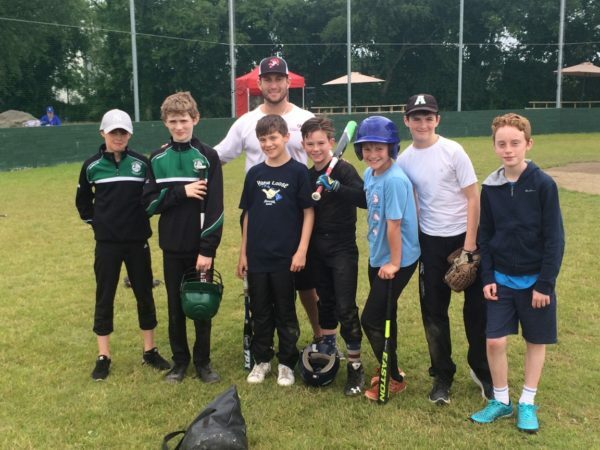 Coach Helmrich worked with Irish Little Leaguers and members of the Irish National Baseball Team for one week, at the new baseball facility in Ashbourne, County Meath. 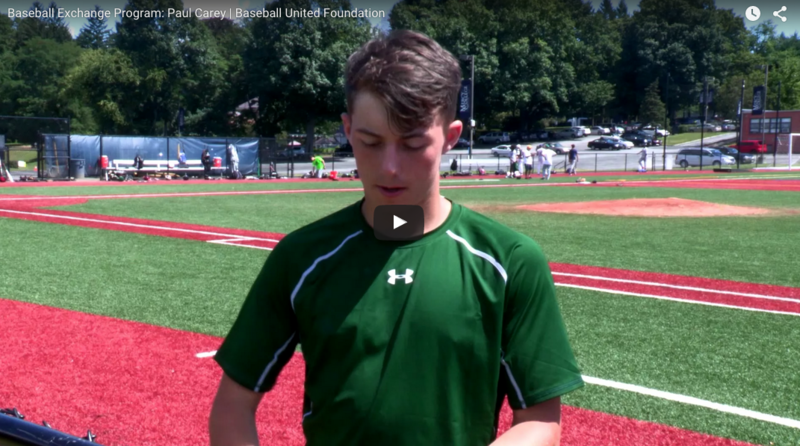 The trip was the latest installment of the Baseball United Foundation’s Baseball Exchange initiative, where we send coaches and donated equipment overseas and bring players to America to give them access to top coaches, camps, and baseball teams. By all accounts, Coach Helmrich’s trip was a success. 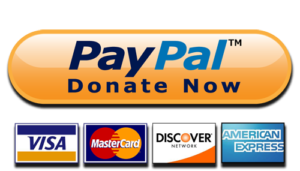 Listen to the audio interview below, as Coach Helmrich explains the purpose of the trip and what it meant to him. But I’ve definitely, looking back on the trip, I feel like I learned way more from them than they probably did from me. You know, I’ve been lucky enough to play baseball my whole life and had a family that supported me through my baseball endeavors and things like that, but you kind of forget why you played the game, or why you wanted to go out every single day and practice and things like that. And these kids reminded me that, that you just love it. You know, you go because it’s fun, you get to hang out with your friends, and whether you win or lose, you go home and you’re happy, it’s exciting. Interviewer: I’m talking with Eric Helmrich. 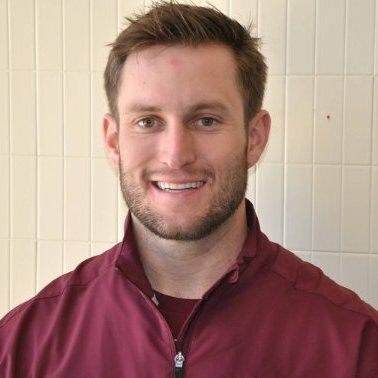 Eric is the Assistant Coach at Iona Prep in New Rochelle, New York. He’s also a coach and instructor at Hardball Training Center in Elmsford. And most importantly, he’s also a guidance counselor at Sacred Heart High School in New York. Eric, you recently traveled to Ireland to work with Little Leaguers as part of the Baseball United Foundation’s Baseball Exchange Program. Tell us a little bit about that experience. Eric: So, in July I had the opportunity to go over and work with a handful of Irish Little League players and some national players for about a week where we had a three day camp and we were able to do a lot of drills and different activities. And it was a really good opportunity to kinda see where Irish baseball is at right now, and see the kids really work hard every day. And it gave me an opportunity to work with a handful of kids who really have a strong passion for the game and who really want to learn more and work hard at it, you know, at a sport that’s really not too popular over there yet. But within the next couple of years you can really see how fast it’s gonna grow with the way these kids have a passion for the game. Interviewer: And how old were the kids that you were working with? Eric: The kids ranged, I think the youngest kid that we had was about five or six, some of them who have never picked up a ball or bat or a glove. And then the oldest at the camp was about 13 or 14 years old. And then a couple of the older players who helped had actually played for the Irish National Team or in the Irish league that is there, ranged between 16, 17, and 18 years old. So I was able to kinda interact with a large age of children, but for the majority of the kids at the camp were 5 to 13. Interviewer: Okay. And can you explain where you were exactly? What part of Ireland were you working in? And talk about the field situation there. Eric: So our camp was held at the Ashbourne Little League field or the Ashbourne facility, probably about 30 minutes outside of Dublin. I believe the field is about two years old, which really took a lot of help from the community itself and then people all throughout Ireland and back here in the States, but the field is an unbelievable place, unbelievable environment. The field itself is gorgeous. 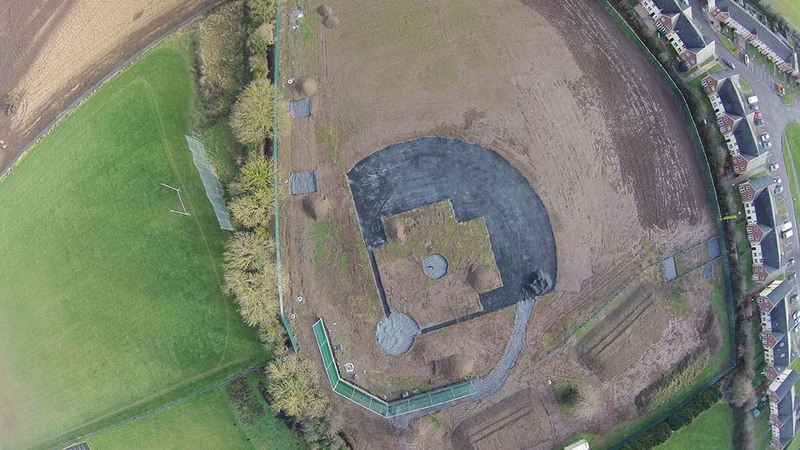 The surface is pretty strong for being one of the only three fields in all of Ireland, I believe, with a nice batting cage and a lot of potential. The people and the kids take awesome care of it and they treat it like their home. Every day they’re there working on the field. They’re cleaning up afterwards and even the equipment they have, it may not be the best compared to somebody else, but they take care of everything and have a strong sense of pride and ownership towards it. And it shows that every day they go out there and they play on a gorgeous field that’s probably better than the majority of high school and college fields within the area. Interviewer: And would you say, or how would you say the community in general, you know, people that are either affiliated with baseball in Ashbourne or people that have nothing to do with the game, how do they view baseball? Is the community enthusiastic? And what do they tell you, what do they ask you about the game? And I think that’s how it’s starting to grow is that more people are just seeing it. And that they see how much fun the kids are having. And I think that’s why baseball is gonna be something that’s big over there soon or I can really feel it because they play because it’s fun, not because it’s anything more or a hobby, they just wanna go and have fun. And that’s what every single kid there and the parents kind of see it and there’s no pressure of all these different things going on. But the community got behind it as just a way for kids to go out and just play. Whether it’s a sport or a hobby, they can go out there and just play and interact with each other. And even after the camp, the kids would hang out an hour or two just to kind of hang out and throw the ball around or try to hit or do anything. So that was really cool to see that even after camp was done every day, or anything like that, they still wanted to hang around and just be kids and play. 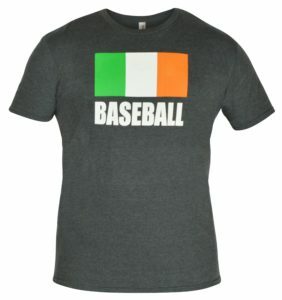 Interviewer: And, you know, at the Baseball United Foundation we talk about sharing the game of baseball, and you clearly did that by sharing your knowledge with the kids in Ireland. And I just wanna ask what impact do you think the Baseball Exchange Program had on the kids that you worked with and what kind of impact did it have on you as a coach? Eric: You know, any time that I work with a kid, or work with a player, or coach a team, I just want them to be able to take one thing, whether it’s something on the field that they can do, whether it helps them throwing, or fielding, or hitting, or if it’s something bigger that they can take out off the field. And I hope that the kids that I worked with were able to kind of find a love for the game that I’ve had my whole life, or have been able to take something that they can use for the rest of their life. Whether it’s knowing that you can’t control every situation on the field, but you gotta be able to move on. 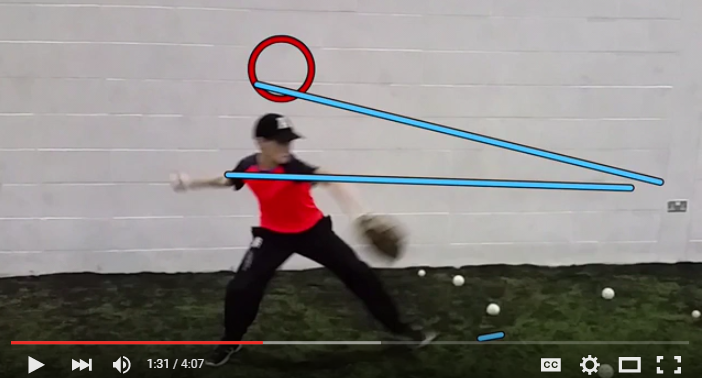 Or just if you make this adjustment when you throw, it’s gonna help you throw a harder ball to the base. If it’s something like that, then I think I’ve done my job. And if they can remember that for a couple years, then that’s really cool to me. And I think for me, it helped me kinda appreciate how lucky I am to play this game and to still play, because when I get between the lines, my main goal should be to have fun. Not because it was a job, not because my coach is telling me to do this or that. It’s because I love the game, just like I did when I was a T-Ball player. And I think it kind of helped rekindle that love for the game, and keeps me in check with why I still coach and why I still work with Hardball and why I still wanna be a part of the game as much as I can. Interviewer: Great. Thanks a lot, Eric. I appreciate you taking the time to talk to me.